Line bottom and sides of 8-inch square pan with foil or parchment paper. Spray foil with cooking spray. In large bowl, mix cereal and mixed nuts; set aside. Make sure to really compress the cereal bars; that will make them easier to cut. 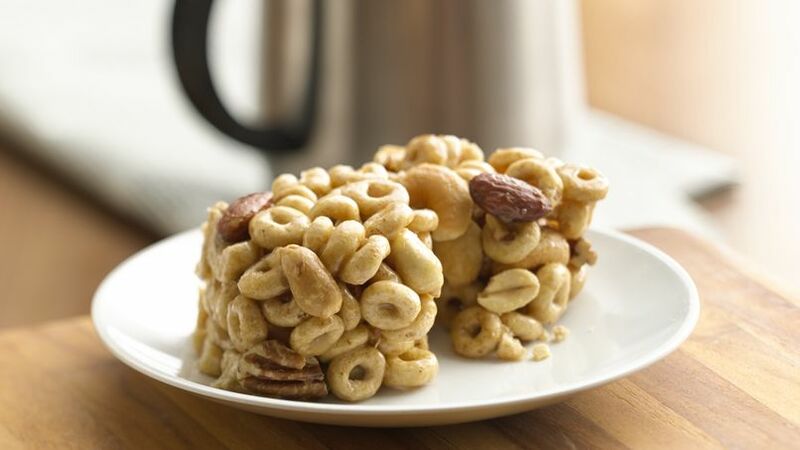 Honey Nut Cheerios™ cereal and mixed nuts make these no-bake bars quick and delicious!